Get low shipping rates nationwide. Take a moment to read why TSI's shipping and moving rates are fast, affordable, and most of all accurate. You know how some websites offer an immediate price quote online? Here’s a secret: they’re just guessing. No shipping quote generated by automated software without human review can guarantee accuracy. There are just too many variables to take into account. So what’s the TSI difference? First — we’ve developed and updated our software over many years — it’s simply more accurate. Second — and this is very important — we review every online price quote before sending it to you. Third — we also provide immediate price quotes by phone from knowledgeable shipping and moving specialists who explain everything. Fourth — we will not finalize your shipment without speaking with you to make sure you are getting the service you need at the price you want. We’ve been doing this since 1989. We explain everything so you can choose wisely. It takes a little extra effort to review every online quote, but it’s worth it to us, and it’s free to you. And don’t forget, if you need your quote immediately, please call. We will explain our two basic types of service -- White Glove service and Economy service -- along with the requirements of each and any cost-saving options that may be appropriate for your particular move or shipment. The decision on how to ship your items is one made by you and not by a piece of software. We offer low-cost moving and shipping services, and shipping rates that are clear and accurate. We work with you to determine the best and most affordable shipping option to suit your needs, while ensuring that our pickup and delivery professionals will be on-time and on budget. This is why our shipping quotes and shipping quote process have led the industry since 1989 -- first over the phone and via fax, now via our website (and by phone too, of course!). Economy service shipping rates on boxed and crated items begin at $200-$300. White Glove service shipping rates for small, long-distance moves or shipments of unboxed items, unpacked furniture, and other household goods begin at about $300-$400. Please remember that the greater the weight and distance, the higher the price quote. Whatever the weight and distance, you can count on top-quality handling, transport, and customer service. And if you’re looking to ship parcels, our rates are competitive with UPS, Fedex, and the rest — plus we’ll take care of the paperwork and email you the labels. These shipping rate estimates are for guidance. For example, you may be able to ship a sofa from one state to another for $300. But you won’t be able to ship a sofa all the way across the country for $300. As always, the actual cost depends on the specifics of your move or shipment. 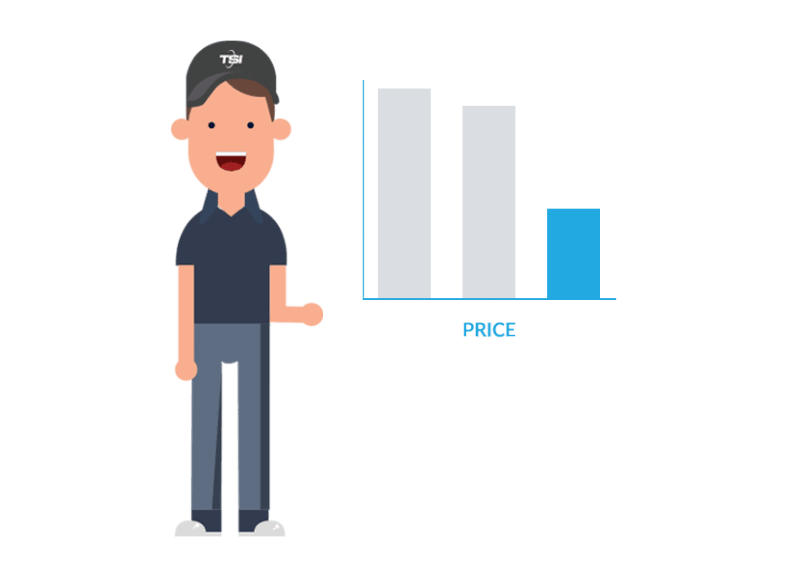 TSI will give you a precise shipping quote calculated from the specific descriptions you provide. We promise your quoting process will be straightforward and timely. The TSI shipping quote you need. Your shipping quote will be good for at least 30 days. There will be no fuel surcharges or “accessorial” charges added later. Your shipping quote will not change, nor will any charges be added, unless the information you provide changes or you request additional services. Through our White Glove service, we provide inside pickup and preparation. Looking for a price? 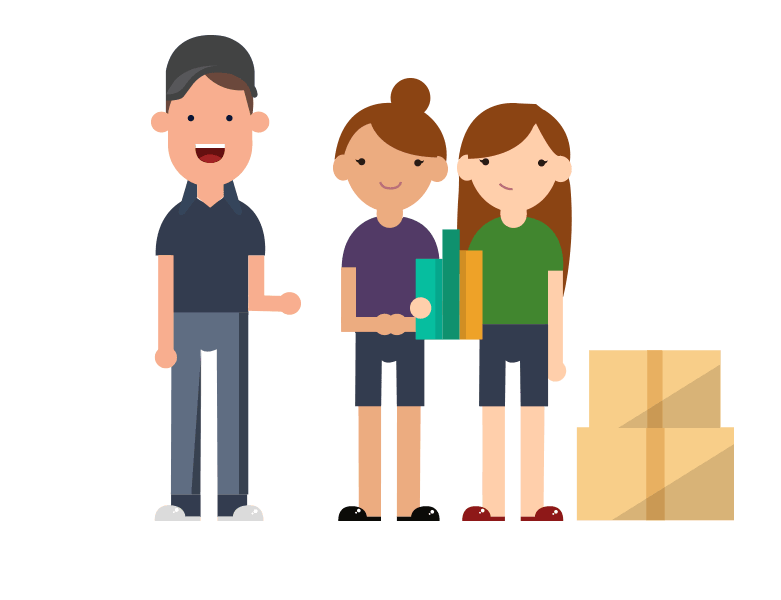 Find out how much your items will cost to move or ship. TSI measures the weight of your shipment to provide the best and most accurate service quote.